The spiritual successor to ForgeSubWhitelist. It got completely redesigned and upgraded. This mod/service makes it easy to create subscriber only Minecraft servers. Link your Minecraft account and the account you want to use to authenticate. See the instructions on the website: https://mclink.dries007.net/ . 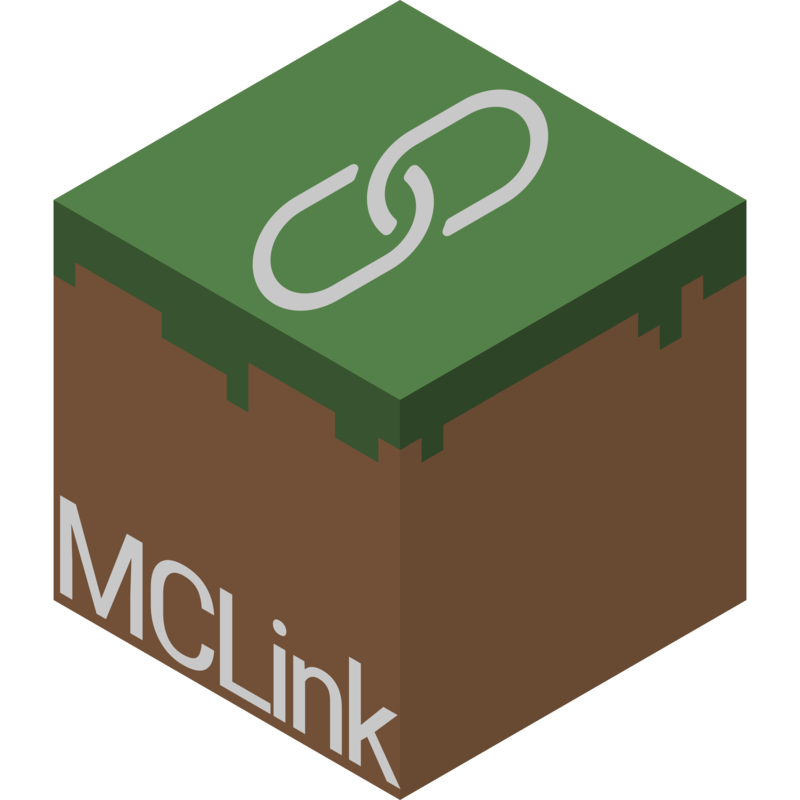 Log into the server that is protected by MCLink. How does it work for server owners? Put the API token in mod's config. Config example here. Why is this better than any of the alternatives? You only have to link your accounts once. The link is specific to your Minecraft account, not the server you are trying to log in to. More information is also available on the website: https://mclink.dries007.net/ . Mod versions for older versions of Minecraft will be released, if you need a specific version, contact me and I'll see if I can speed things up. This mod also adds a command /mclink that allows you to reload the config, request server status and open and close the server on demand. any luck adding Mixer on 1.12.2 ? just figured to check in its been awhile since i've asked thanks!! I wasn't sure if you where going to end up adding support or not. any plans for youtube integration? Yes, but I need someone who has the membership enabled to test with. I don't have anyone willing to help. Is it possible to whitelist a user regardless of being subscribed to a user. This mod works for a large majority of our community’s content creators but not for our mixer partners. Yes, just whitelist them manually with the regular old vanilla command. Yet another reason why MCLink is superior :) If you have any more issues feel free to let me know, but I recommend you email or use discord. Curse DMs or comments get lost quite easy. NP thanks for the fast reply! Can u add YouTube support plz. Can you also make a Sponge version? Please use GitHub for feature requests, the issues link is above the description. Is there support for using multiple twitch tokens at once? For example, for a server for a group of streamers, where someone would be able to join by subscribing to any one of the group? Yes. You will only need to be subscribed to 1 person. See the config example on the website. Just add multiple lines. I run a 1.7.10 server and had previously enjoyed using ForgeSubWhitelist to manage my whitelist. With ForgeSubWhitelist being deprecated I can no longer allow it to automatically manage my whitelist, but if this mod doesn't have a 1.7.10 version I will have to look for other options. Will this mod have a 1.7.10 version, or should I look for other options? A 1.7.10 build was just uploaded. It's beta, please report any issues. Hi where can i report issues?